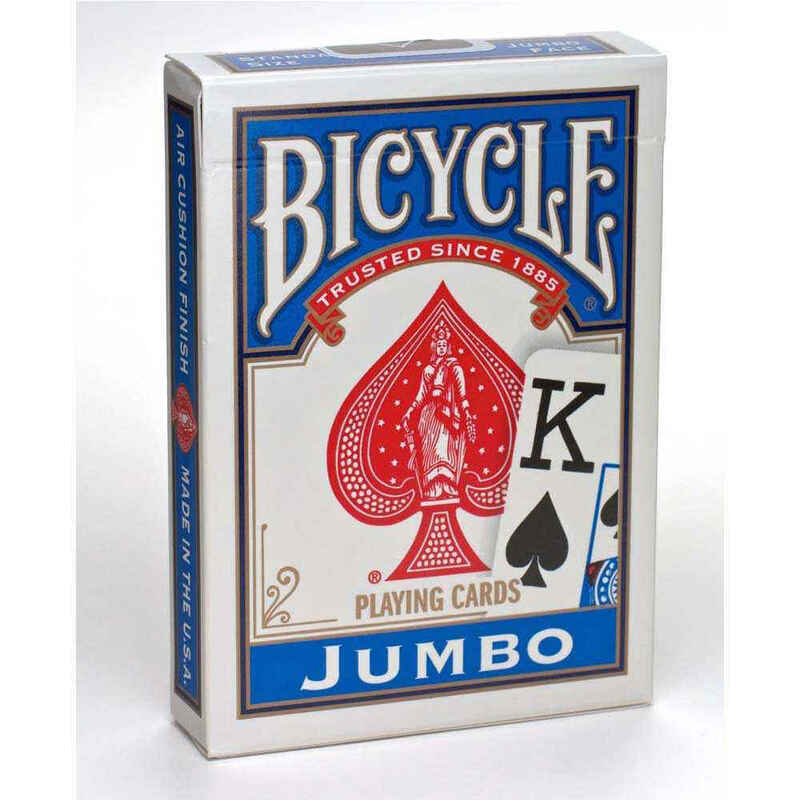 Bicycle Jumbo Index playing cards are great for regular card games and Poker. The same overall size as a standard deck of playing cards, Jumbo Index has extra large pips (card value and suit) so it is easier to see what you are holding in your hand. The Jumbo Index features the same Bicycle rider in the same variety of colors as Bicycle's standard index decks. It also features the same Bicycle air-cushion finish to make for a clean snap when you play as well as for a durable, long lasting card.